With less than a week to go until the OnePlus 6T’s new announcement event, the highly-anticipated smartphone has shown up on the website of a large German retailer. As previously revealed, the listing in question confirms that OnePlus’ next flagship will now boast a slightly larger 6.4-inch AMOLED display that includes an in-display fingerprint scanner and features a resolution of 2340p x 1080p and a pixel density of 402ppi. 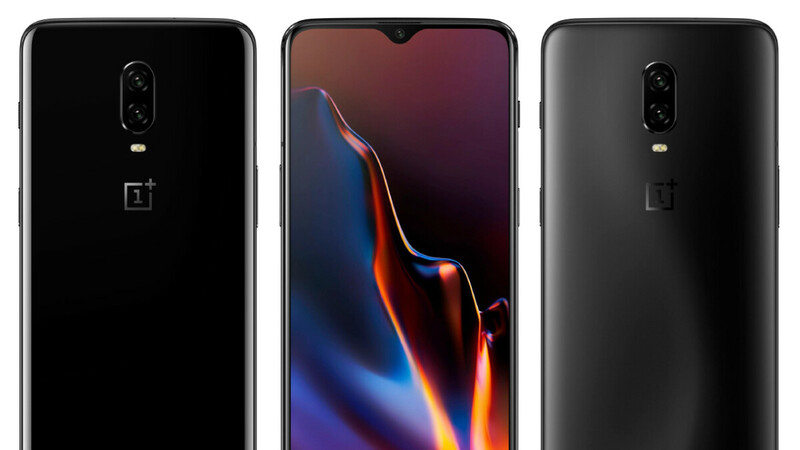 The front panel will also include a much smaller waterdrop notch that is home to a 16-megapixel selfie camera. This will be coupled with an updated dual-camera layout on the rear comprised of a main 20-megapixel sensor and a secondary 16-megapixel one. Together, these will support a variety of photography features including HDR Image and a new Night Mode for improved low-light shots. Following in the footsteps of the regular OnePlus 6, this listing confirms the presence of Qualcomm’s Snapdragon 845, 8GB of RAM, and 128GB of internal storage. But presumably, a model with 6GB of RAM should be sold too. Also, higher storage counts are expected to go on sale too. Other details include a large 3,700mAh battery and Android 9 Pie straight out of the box. When it comes to pricing and availability, the OnePlus 6T is set to go on sale in Europe on November 6, just over a week after the smartphone’s debut. As expected, this particular listing backs up previous rumors of a price hike by listing the 8/128GB model at €579, €10 extra than the equivalent outgoing model. The smartphone will be available in both Midnight Black and Black. This is gonna be THE rockstar device for the rest 2018 and early 2019 till the Samsung S10 comes along. Doesn't look too promising on paper and with the regular price hikes, I doubt it can sustain future tussle with the big boys. I could be wrong though! Oh yes! A $10-15 price hike will suddenly make it non vfm despite having bigger battery, costlier fingerprint tech, better camera, smaller bezels, probably faster charging technology, increased 128gb base storage. Price hikes just may not be 10-15$ for all my friend. Bigger battery doesn't mean better endurance unless optimised well, fingerprint tech is worth it or not is yet to be seen though sounds exciting, better camera again not yet tested or confirmed, smaller bezels serve what purpose, faster charging will only affect battery in the long term and base storage increase is welcome! Fast charging on the OnePlus does not effect long term battery life - that's the beauty of Dash charge technology. Also, OnePlus and optimization go hand in hand. So, no worries there. I am really not convinced with any fast charging tech. That's personal opinion. But I have heard Dash charging to be the benchmark and kinda agree. I still believe battery innovation should someday will get due attention. Not when it comes to battery. OnePlus, as I am a repeat customer of theirs, optimizes for speed and fluidity--not battery life. They OP6 has mediocre battery life, as the ones before it have been a subtle drop since the 3T. Well, I was only commenting about the battery charging tech for OnePlus and not the actual endurance. I do know that OnePlus are more for speed and not endurance. That explains that instead of endurance, they went for faster top ups. I honestly wont even be getting it.. My fav phone of 2018 is the S9 plus . Which im ultra happy with.. So next s10 then. This is a fake listing. And here is why - Primary camera of 6T will most likely be a 12/13mpx one. Few days ago OnePlus CEO Pete teased a low light image captured by 6T that was of ~13mpx resolution. Also as everyone knows, majority of 6T is based on Oppo R17 Pro which has 12mpx primary camera with Dual Aperture (f/1.5-2.4) just like Samsung S9 and Note 9. So i would say, take this listing with bucket loads of salt. I wouldn't call the listing fake. Otto is a huge company, but there is always the possibility that they may have added placeholder specs in certain sections for now, although we'll just have to wait and see. Either way, the listing included the first bunch of renders without watermarks, which can be seen in the gallery. The pricing is likely accurate too, and it has since been taken down, which suggests there is definitely some truth to it. Maybe, but this listing also says that 6T has micro sd slot which is very very hard to believe considering OnePlus's history. They have explicitly stated that microsd slots will never find a place in their devices.